Our Search and Rescue is made up of an ALL VOLUNTEER staff and is managed by our full time staff. 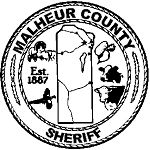 A very small amount of money is budgeted into the Malheur County Sheriff’s Office budget each year for Search and Rescue. The majority of the funds necessary to equip and train our nearly 100 person crew comes from proceeds from the “cook shack” at events like the Jordan Valley and Vale Rodeos or from security assignments throughout the year.